Perovskites are a type of mineral and class of materials, and have been attracting a great deal of attention for their potential applications to technologies such as those used in solar cells. 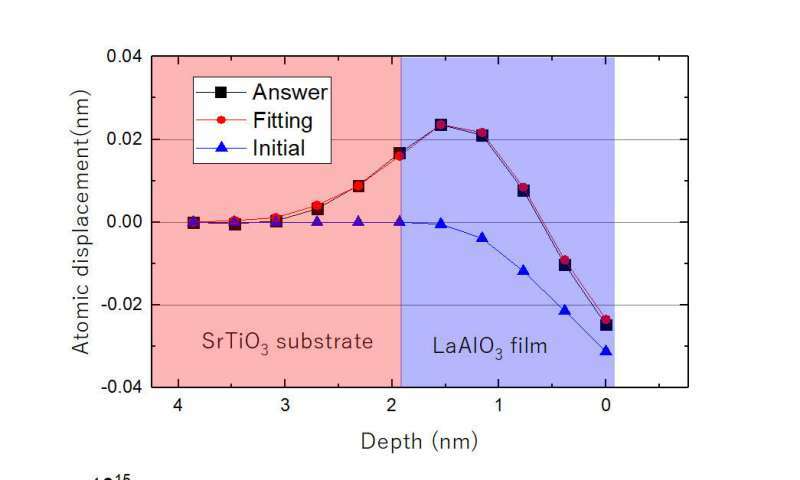 These unique materials have well-ordered structures and show many interesting properties that could be useful in other areas of electronics. Such a variety of properties in the same structural backbone allows different kinds of perovskites, with different properties, to be evenly joined together without breaking lattice coherency. Being able to examine the structures at these interfaces is important for researchers studying perovskites, but currently used techniques have insufficient resolution or produce complex results that are very difficult to analyze. Now, Osaka University-led researchers have found a way to model perovskite oxide interfaces with great precision and accuracy using a new computerized approach to picking out the correct structure from X-ray data. They recently reported their findings in the Journal of Applied Crystallography. "Using typical scanning transmission electron microscopy on perovskite oxides requires samples to be cut, which can damage the surface and affect the resolution," study lead author Masato Anada says. "Surface X-ray diﬀraction approaches avoid these effects but analyzing the data is complex, so few people are using this method. Our Monte Carlo-based refinement method provides a fast way to search for the most probable structure from X-ray data, and is versatile enough to be applied to more variable interfaces." Monte Carlo methods help predict what the structure of an interface probably looks like. By making small changes, with certain restrictions, many different possible structures can be randomly simulated. Applying this technique to the interface between perovskites and comparing simulated X-ray data with real measurements allows the researchers to rapidly identify the most likely perovskite structures. 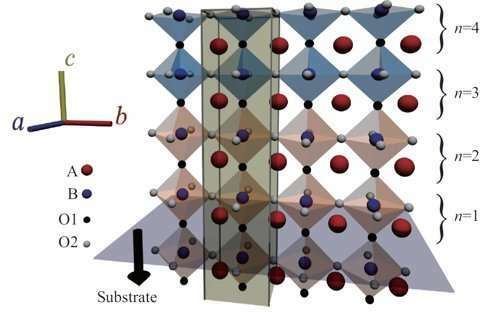 They tested their new method on a simulated X-ray dataset from a realistic interface structure between two types of perovskite oxides, and the final structure refined by their modelling was very close to actual structure of the interface. "Features of perovskite interfaces are ideal for testing out certain theories in condensed matter physics and for making new types of electronic materials system," coauthor Yusuke Wakabayashi says. "Our approach makes analyzing the complex structural data of these interfaces much easier, and it's also robust for uneven interfacial structures. This approach should be useful for anyone currently investigating these structures."